* Mariell's popular bridesmaid or prom necklace set adds crystal sparkle to your wedding party at a fabulous price! 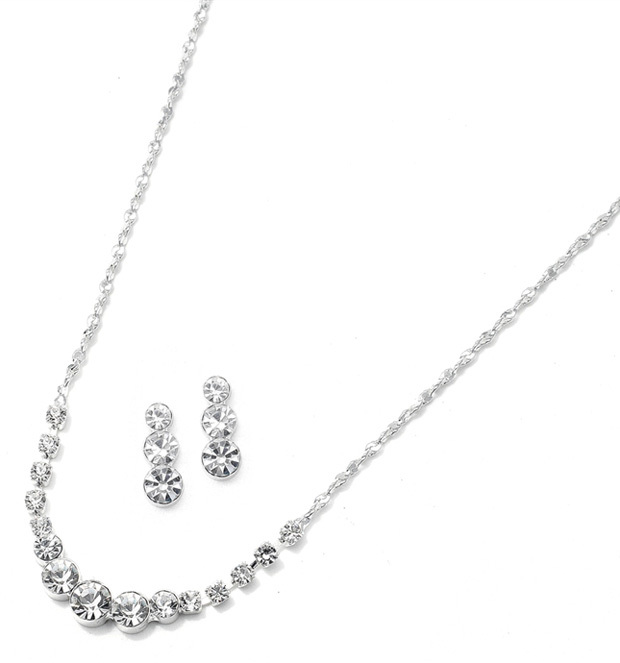 * This dainty jewelry set is also a top-seller for prom. * This sterling plated rhinestone necklace has an adjustable 16" - 19" twisted glittering chain & a 1/2" h triple bezel earring. * For your customers who want a touch of sparkle at a supler low price, this wholesale crystal necklace and earrings set is a great choice for your store's jewelry display!